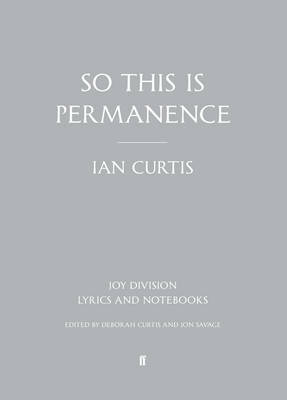 So this is permanence, edited by Jon Savage with a foreword by Deborah Curtis, presents the intensely personal writings of one of the most enigmatic and influential songwriters and performers of the late twentieth century, Joy Division's Ian Curtis. The songs of Joy Division, infused with the energy of punk but steeped in a resigned longing, were born of Manchester in the late seventies - a once flourishing industrial city in decline. They were the songs too of Ian Curtis' inner tragedies, as he battled depression, epilepsy and debilitating stage fright. Ian Curtis committed suicide in 1980, on the eve of the band's first American tour. Interspersed with the lyrics are previously unpublished facsimile pages of Ian's notebooks, which throw his highly emotive lyrics into fascinating relief and cast light on the creative process of this singularly poetic songwriter.